Want More Overtime? Raise Pay in the South and in Retail! 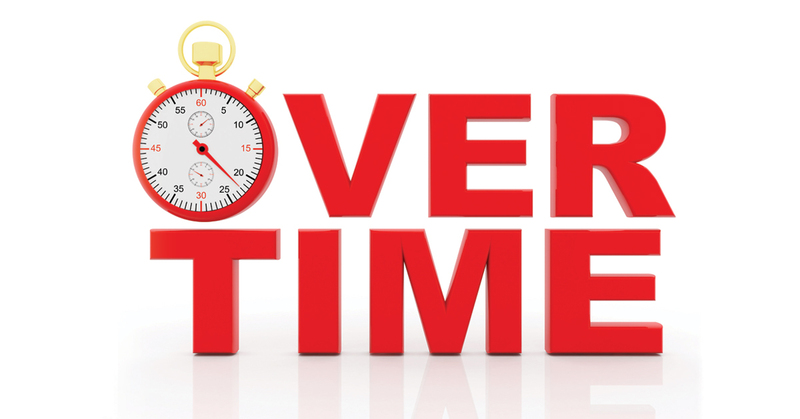 Little Rock The Department of Labor has issued its revised rulemaking proposal on overtime eligibility for nonexempt workers. A federal judge in Texas had halted the Obama administration’s efforts to move the number from $23,660 to double that amount at $47,476 annually. Instead, the current proposal would move the number to $35,308 based on 2017 figures, and, reading the DOL proposal more closely, perhaps higher based on 2018 figures after the comment period, if this proposal passes muster. Did they pull the $35,308 figure out of their ear or what? Although I had somehow never realized this previously, their justification this time, as it has been in 2004 at the time of the last increase in overtime pay, was tagging the rate at 20% of the average wage of salaried employees in the South as well as retail workers nationally. The Obama Administration had come up with the $47,476 figure by trying to scale the benchmark up to 40% of the average wage of salaried employees in the South. Hopefully, you’re starting to get the picture. It’s not a question of “the South shall rise again,” so to speak, but that everyone cannot rise again without the South. There’s a certain cruel justice in this, as I write from deep in the South. It’s a reminder that we have a national workforce rather than a regional one, even if Congress’ stubborn refusal since the George W. Bush administration to raise the federal minimum wage has increasingly forced local and state efforts to raise wages as politicians continue to ignore the economic reality of workers widening the gap for workers in the USA based on location. The DOL this time around claims this bump will benefit 1.1 million workers, which is significant. Others point out that the Obama DOL claimed 4 million workers would become eligible for overtime. In a footnote in the current proposal, the DOL estimates that an additional two million workers would likely benefit who have been “nonexempt” (which means in English that they were not exempt) but were making over the 2004 allowable minimum weekly level of $455, but less than the newly proposed level of $679 per week, because they would “now fail both the salary levels and duty tests.” The DOL in this footnote says that such workers would “have their overtime-eligible status strengthened in 2020” when this new rule would go into effect, which in non-legalese, plain English would mean that another 2 million workers would be able to collect overtime. The proposal also adds another 200,000 workers who were making over $100,000 under the old rule and would now be eligible with the threshold moved up over $140,000. Another point worth making is that the new proposal also mandates a review and adjustment every four years, which means that workers will not be stuck for a full fifteen years in the future, and that’s very important. In short, the wage level is lower, but the number of potential beneficiaries is not as wide it would seem as reports are making it. Everything being equal, and, frankly, it never is, this is not a bad deal. If anyone wants better, the new rule is pointing out a clear path for future organizing. If we can organize enough workers in the South or in retail nationally to move the average wages up, then all the benefits will trickle up from the bottom. To me that sounds like a plan, though I doubt if many will be lining up to make it happen. This entry was posted in Citizen Wealth, Labor Organizing and tagged labor unions, Overtime, wages, workers by Wade. Bookmark the permalink.